When you checkout, if your cart has $75 or more, free US domestic shipping will be available for you select. CEP Outdoor Light Merino Compression Socks are a thinner lightweight technical sock that features a high-tech blend of fibers with finest merino wool for ultimate comfort. The 20-30 mmHg compression in this compression running sock reduces muscle fatigue, increases oxygen and nutrient exchange, and boosts circulation. Precise fit for less chafing and excellent support; ideal for close-fitting hiking boots and shoes. Choose the Gender - Men and Women have different sizes and color options available. 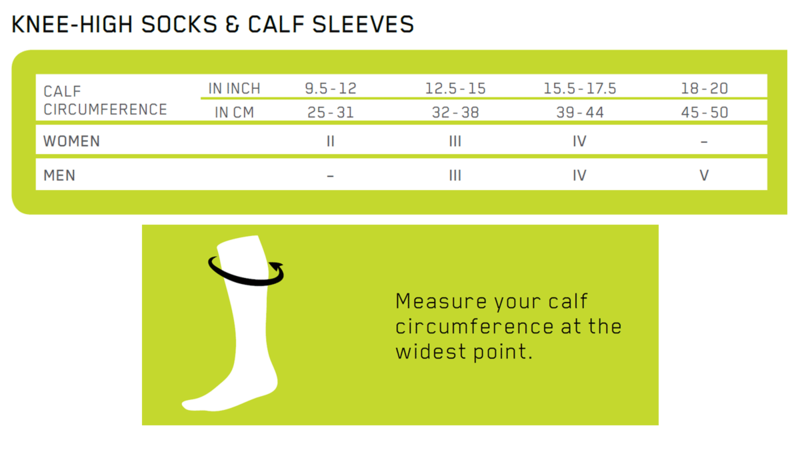 There's a sizing chart in the images. Look up your size. You may need to take a measurement. Choose your size and color. Content for How to Order. LegSmart has the lowest prices on name brand compression. We even price match so you get the best deal. on all orders $75 and over. Select Free Shipping on checkout. Our Return Policy is easy so you can shop with confidence. Change your mind or got the wrong size? We're here for you. Our brand name compression socks and stockings are made with incredible standards and has a 6 month guarantee. Don't know which knee, thigh, or pantyhose, sock or stocking to get? Not sure of the differences between the Levels of Compression? There are so many different models?! Which fabric should I choose? Have any other questions that's on your mind? Sign up and get a discount coupon to use with your order! Benefits include: exclusive discounts and coupon codes, members only pricing, priority customer care, and free shipping on your orders. It's free to join, cancel anytime. Read more about membership details. © 2006 - 2019 LegSmart.